Women are more and more present in the film-making and broadcasting trades. They are getting organised in networks in order to make their work more visible and to defend a cultural policy which would make a more equal place for women. There is still, admittedly, some way to go towards actual equality of the sexes… and in the defence of cultural works. As a promoter of women’s films the ‘ELLES TOURNENT’ association is present in these networks, it is vigilant regarding the stakes being negotiated, it is active in international debates, dynamic in the exchanges and promotional actions of women film-making. International symposiums : in 2012 ‘ELLES TOURNENT’ organised an international symposium (Symposium Women behind the camera in Europe) which brought together women film-makers from across Europe. 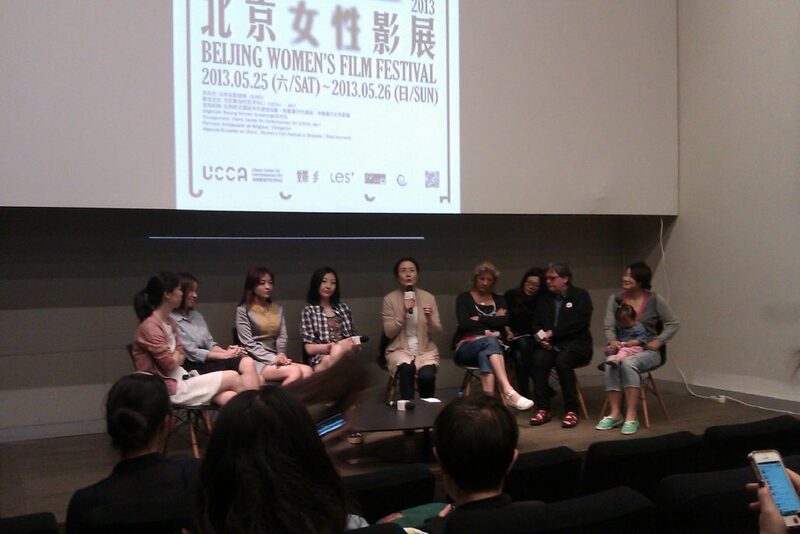 In 2013 it participated in the film-makers’ forum in Beijing on the theme of the presence and absence of women in film production. International gatherings : in 2013 ‘ELLES TOURNENT’ collaborated with other festivals. A Carte Blanche at the Beijing festival but also Arles, Créteil, Dortmund, Bologne and St-Etienne. Lobbying actions : in June 2013 ‘ELLES TOURNENT’, along with 13 other organisations, co-signed the proposition addressed to the European Commission in response to its consultation on state aid. The statement demanded that financial help to the media should take into account a balanced presence of women and men.